Estimated Lead Time: 6 - 8 Weeks. functional capability and features beyond conventional controls. Functions include automatic burner sequencing, flame supervision, system status indication, system or self diagnostics and troubleshooting. Subbase and amplifier are required for operation. Approvals, Underwriters Laboratories Inc. :Component Recognized, File No. MP268; Guide No. MCCZ. Approvals, CSA:Certified, File No. LR95329-3. Approvals, Federal Communications Commission: FCC Part 15, Class B, Emissions. Required Components: Q7800A,B Universal Wiring Subbases. R7847, R7848, R7849, R7851, R7852, R7861, or R7886 Flame Signal Amplifier. Approvals, Factory Mutual: Report No. OX4A5.AF. 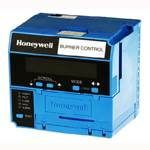 Great one-stop company for a wide variety of control and automation electronics and power components. RM7898A1018/U | Honeywell | 120V, 50/60 HZ. WITH EARLY SPARK TERMINATION FEATURE. RM7800E1010/U | Honeywell | W/ENERGY SAVING PREPURGE; MODULATION, PREIGNITION, LOCKOUT, LOW & HIGH FIRE INTERLOCKS, FM SAFETY SEQUENCE, 60HZ. RM7800L1046/B | Honeywell | VAPOR CORP. ONLY 120V, 50/60 HZ. RM7800L1053/U | Honeywell | 120V, 50/60 HZ. WITH INTERMITTENT PILOT. RM7800L1087/U | Honeywell | 120V, 50/60 HZ. WITH VALVE PROVING FEATURE. RM7800M1011/U | Honeywell | W/ON/OFF PRE-IGNITION, RUNNING, LOW FIRE INTER- LOCKS, 60HZ. CSA/UL SAFETY SEQUENCE. RM7800M1037/B | Honeywell | FULTON PROPRIETARY-120V, 50/60 HZ. RM7823A1016/U | Honeywell | 120V, 50/60 HZ. RM7838B1021/U | Honeywell | 120 V, 50/60 HZ. SELECTABLE INTERMITTENT OR INTERRUPTED PILOT VALVE, 10 SEC MFEP. PROGRAMMABLE VALVE PROVING FEATURE AND POST PURGE AND BLINKUM FAULT ANNUCIATION. ALARM SOUND UNTIL FLAME IS SENSED. RM7838C1012/U | Honeywell | 120 V, 50/60 HZ. 15 SEC MFEP, PROGRAMBALE VALVE PROVING FEATURE AND POST PURGE WITH FAULT CODE ANNUCIATION. RM7840E1016/U | Honeywell | 120V, 50/60 HZ. AIRFLOW SWITCH CHECK OPTION. INCLUDES DUST COVER. RM7840G1014/U | Honeywell | GAS PROGRAMMERS/PR. RM7840G1022/U | Honeywell | 120V, 50/60 HZ. WITH VALVE PROVING FEATURE. RM7850A1019/U | Honeywell | 120V, 50/60 HZ. 15 SEC POSTPURGE. RM7850A1027/U | Honeywell | 120V, 50/60 HZ. 30 SEC POSTPURGE. RM7885A1015/U | Honeywell | 120V, 50/60 HZ. RM7890B1048/U | Honeywell | 120 V, 50/60 HZ. PROGRAMMABLE VALVE PROVING FEATURE AND BLINKUM FAULT ANNUNCIATION. RM7890D1004/U | Honeywell | 120V, 50/60 HZ. RM7830A1011/U | Honeywell | 120V. 50/60HZ. 15 SEC. POSTPURGE. RM7830A1029/U | Honeywell | 120V, 50/60 HZ. 30 SEC. POSTPURGE. RM7838A1014/U | Honeywell | 120V, 50/60 HZ. RM7838B1013/U | Honeywell | 120V, 50/60 HZ. SELECTABLE INTERMITTENT OR INTERRUPTED PILOT. PILOT VALVE HOLD, MANUAL OPEN SWITCH. RM7840L1026/U | Honeywell | 120V, 50/60 HZ. AIRFLOW SWITCH CHECK OPTION. INTERMITTENT PILOT. INCLUDES DUST COVER. RM7840L1075/U | Honeywell | 120V, 50/60 HZ. RM7850A1001/U | Honeywell | 120V, 50/60 HZ. 2 SEC POSTPURGE. RM7890A1056/U | Honeywell | 120 V, 50/60 HZ. PROGRAMMABLE VALVE PROVING FEATURE AND BLINKUM FAULT ANNUCIATION. REQUIRES S7800A1142 TO PROGRAM VALVE PROVING FEATURE. RM7890B1030/U | Honeywell | WITH PFEP (FIXED TRIAL TIME, NOT VARIABLE). ALARM SOUND WHEN RESET IS PUSHED. RM7895B1013/U | Honeywell | 120V, 50/60 HZ. SWITCH CHECK. 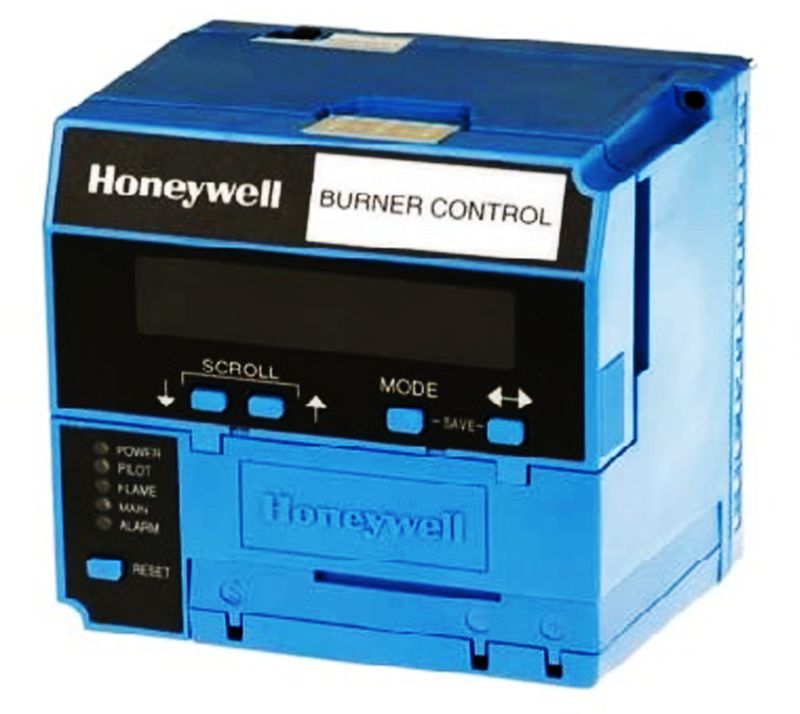 RM7895C1012/U | Honeywell | 120V, 60 HZ, INTERRUPTED PILOT, 10 SEC MAIN FLAME ESTABLISHING PERIOD, DELAYED MAIN VALVE. RM7895C1020/U | Honeywell | 120V, 50/60 HZ. FIXED 10 SEC PFEP, TERMINATION OF SPARK UPON DETECTION OF FLAME. RM7895D1011/U | Honeywell | 120V, 60 HZ, AIRFLOW SWITCH CHECK, INTERRUPTED PILOT, 10 SEC MAIN FLAME ESTABLISHING PERIOD, DELAYED MAIN VALVE. RM7897A1002/U | Honeywell | 120 V, 50/60 HZ. PROGRAMMABLE POST PURGE TIMING AND BLINKUM FAULT ANNUCIATION. RM7897C1000/U | Honeywell | 120 V, 50/60 HZ. INTERRUPTED PILOT VALVE TERMINAL, 2ND STAGE MAIN VALVE FOR LOW HIGH LOW SYSTEMS. PROGRAMMABLE POST PURGE TIMING AND BLINKUM FAULT ANNUCIATION. RM7898A1000/U | Honeywell | 120V, 50/60 HZ. RM7895E1002/U | Honeywell | 120V, 50/60 HZ. RM7896A1012/U | Honeywell | 120V, 50/60 HZ. 15 SEC POSTPURGE. RM7896C1010/U | Honeywell | 120V, 50/60 HZ. 15 SEC POSTPURGE. RM7896D1019/U | Honeywell | 120V, 50/60 HZ. SWITCH CHECK. 15 SEC POSTPURGE. RM7896D1027/U | Honeywell | 120V, 50/60 HZ. SWITCH CHECK. 15 SEC POSTPURGE. PURGE LED INSTEAD OF STANDARD FLAME LED. POWER LED BLINKS ALARM CODE ON LOCKOUT.